Unless you literally had perfect skin, in which case--that's amazing--you've probably dealt with a spot (or several) in your lifetime. The worst ones for me are the ones that are super huge and really sore to the touch. You can sort of feel them building under your skin for ages and if you try to pop them, it just turns into a mess and a massive, long-lasting scar. Or is that just me? Anyway, one of the forms my rosacea takes is by creating these exact sort of cystic pimples on my cheeks. I also get lovely hormonal ones on my chin (thanks, ovaries!). 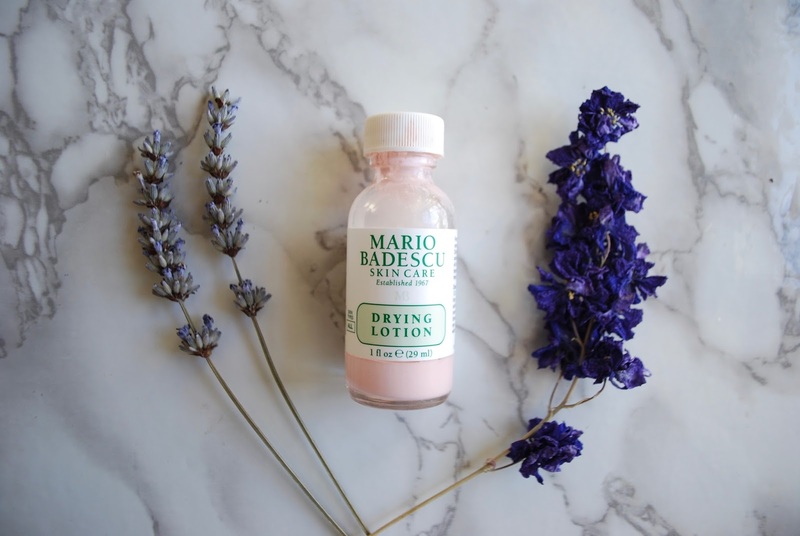 I'd read on various blogs about the Mario Badescu Drying Lotion--Elanna Pecherle in particular had raved about it (if you don't follow her on youtube, I'd totally recommend checking her out!). 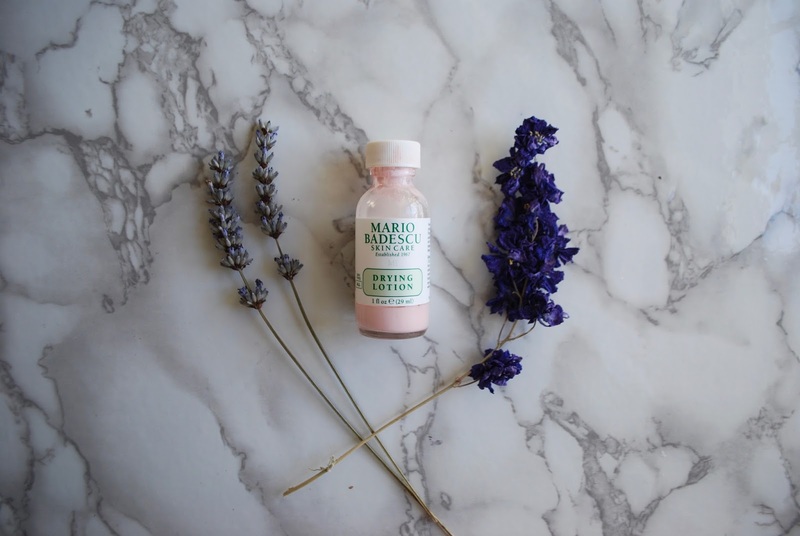 It comes in this tiny glass bottle that contains two components--a clear fluid, and a pink powder. You are not supposed to shake it up and mix them together. You take a cotton bud and dip it into the bottle so that it goes through the clear liquid and into the pink powder, then back up through the clear liquid. Then you apply the mixture to the spot, tapping/pressing the tip of the cotton bud onto the spot. Then leave this to dry for 5-10 minutes. I always do this before bed, although if I've got a particularly nasty spot, I will also apply it during the day. It works best before bed, however, when your skin is in cell-renewal and healing mode. After 5-10 mins, it's pretty darn pillow-proof. When I tried this for the first time, I honestly could not believe how good the results were. A cystic spot that would normally take 2 weeks to a month to resolve was 80% gone in one night. It was no longer sore to the touch and had drastically reduced in size. After another night of the Mario Badescu Drying Lotion, it was gone. I actually totally agree with Elanna Pecherle, who pointed out that this product has just one catch. It seems to only work its magic for about 6 months. Then your skin seems to "get used" to it and it doesn't work anywhere near as well. When I hit this point, I laid off the drying lotion for about 6 weeks (that was a rough six weeks), and it's now working well again! If you struggle with acne or get the occasional cystic spot, RUN OUT AND GET THIS PRODUCT! My lovely readers will know that I never tell you to buy something unless I know it really works. Even with the catch, this product is a life saver. I'm traveling later this week, which always makes me break out, and I'm going to bring this little lifesaver along. Bonus: it's less that £20.